In the world of online publishing, WordPress serves as a publishing platform to enable users to create, edit and publish content online. Two options of WordPress are available – self-hosted WordPress (known as WordPress.org) and WordPress.com. The differences are vast and each platform has benefits and drawbacks, depending on your needs. Fundamentally, WordPress.org and WordPress.com differ because one is software and the other is a website providing the publication service. WordPress.org is blogging software that enables you to download installation files to your hard drive and install it on your own server. WordPress.com is a website that you can use to host a blog without downloading or installing files. Both WordPress.org and WordPress.com can incur expenses, depending on your individual needs for your website. Using WordPress.org involves some expenses, but overall, the cash outlay is nominal. Expenses include an annual domain registration fee and monthly or annual web hosting fees. Assuming average web traffic, most web hosting plans will not break the bank. For example you can host WordPress on a high end VPS with a monthly cost of just $25. View our vps hosting packages for more details. WordPress.com offers free blogging for up to 3 GB of storage without paying for web hosting or domain registration. Users who want more options with WordPress.com can upgrade to a premium or business plan with an annual fee. Fees for premium or business plans start at around $100 annually. The appearance of a WordPress blog is determined by the theme. Themes vary in style, appearance, complexity and price. Some themes are free and others are available for a variety of prices. Choosing WordPress.org gives you the option of installing free, custom or commercial themes on your blog. The number of themes available for download surpasses 1500, with developers creating new themes on an ongoing basis. You can also customize themes to fit your website. These options afford the user complete control over how a website looks and feels to visitors. 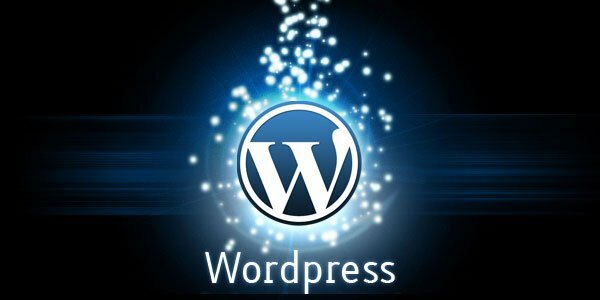 WordPress.org allows the use of free or purchased plugins to increase the functionality of a blog. With WordPress.com, you must choose from the themes available within this platform. The number of themes available tops out at around 200. It is not possible to customize themes by modifying code within the theme. WordPress.com does not enable plugins for the free service. Your blog will be limited to the features available, some of which can resemble plugins. With a premium or business upgrade, users have access to about 30 plugins. If you opt for the free WordPress.com package, your website will feature ads run by WordPress.com. You can upgrade to a no-ad website for an additional annual fee. If you have concerns about ownership of the content of your blog, WordPress.org may be a better fit for you. The Terms of Service for WordPress.com give Automatic royalty-free access to all data on the website for the purpose of “displaying, distributing and promoting your blog.” In addition, WordPress.com informs users that it may terminate access to your website at any time, with or without cause and notice. With a WordPress.org blog, you retain full rights to and ownership of all content. Affordable, effective and professional, that’s the sort of service you’ll get from a reseller hosting package from KnownHost. Within the blogging community, certain bias exists against blogs hosted on WordPress.com versus WordPress.org. If you’re serious about building a strong and influential brand on the web, WordPress.org comes out ahead of WordPress.com. This is because readers often pay closer attention to bloggers on a self-hosted website. Most people with plans of making money with a blog will need to choose WordPress.org instead of WordPress.com. With WordPress.org, you can sell ads and get the profit. WordPress.org enables monetization such as adding as many ads as you want and placing them wherever you want on the website. You can use Adsense on a blog, as well as adding affiliate promotions to the website. If you have your own products to sell, you can even use WordPress.org to create an ecommerce website. WordPress.com users cannot sell ads unless users add the WordAds function to a website. This option has a monthly page view requirement, as well as limitations about ad style and placement. Beginners looking for a simple way to publish their voice to the Internet might choose WordPress.com. However, anyone needing more options and functionality may be better served with WordPress.org. WordPress as a platform is great for all kinds of websites and it is your vehicle for establishing a long lasting and solid online presence.